Back in May, I posted a short piece about a garden I affectionately called “The Secret Garden.” I mentioned it from time to time, but I never elaborated on it. 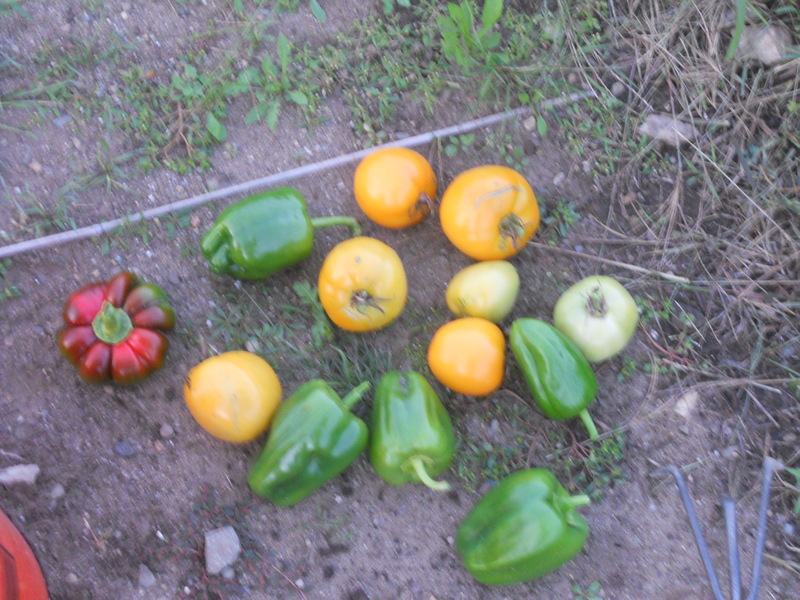 Yesterday, I picked the last tomatoes and peppers from this garden. Then I pulled the last few plants and the last hulking sunflower stalk out of the ground. I raked the soil a bit, took a few pictures and a long last look, then got in the Jeep and drove off into the dusk. 2010 was my first year of coordinating things at The Hampton Victory Garden. Contrary to popular belief, herding a group of gardeners into their spots every year does require a bit of time. Everyone has an idea and everyone has needs. Sometimes it’s hard to make everyone happy. Although I do not consider myself “the leader” of the garden, I am “responsible” for things like the checking account, water bills, and the locks on the gate. If a flying saucer landed in The Hampton Victory Garden, it’s possible someone would call me to let me know. Maybe I’d be interviewed on Tee Vee. Learning to be good at being responsible takes time. This was my third year as the volunteer coordinator; it’s my first year of being confident in what I’m doing and I rely on lots of people to help me do things well. 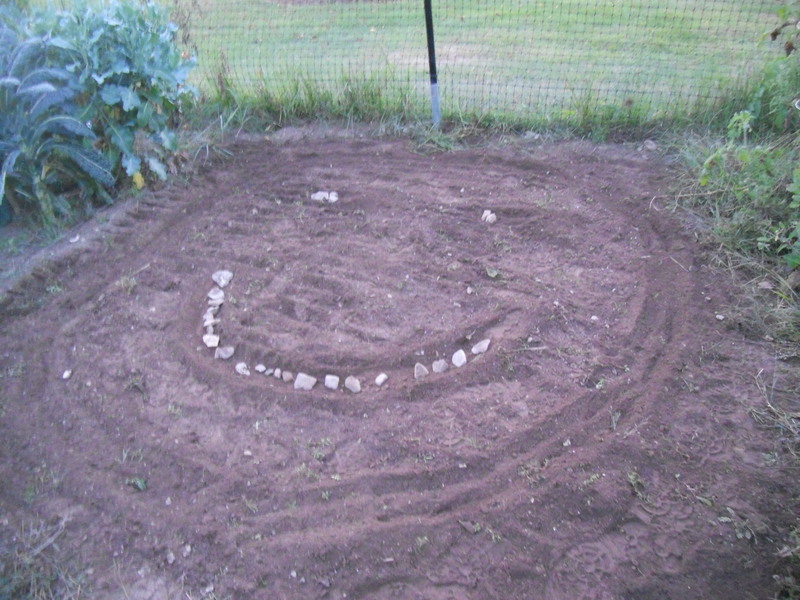 After my first summer of being responsible for The Hampton Victory Garden, I was discouraged. I didn’t think I was doing a good job and even though everyone seemed happy, I wondered if I could be doing things better. I needed to do some research. So I joined another community garden. Just like The Hampton Victory Garden, we met in March. There was a list of rules and regulations. There was a small fee. There were issues with the fence. People started out with lots of energy and excitement and burned themselves out by July. I never told anyone at The Secret Garden about my volunteer work at The Hampton Victory Garden. I just observed and took notes; I learned new things. I hauled in bags of the best compost in the world and I planted tomatoes. The most important thing I learned after two summers at The Secret Garden was how much I loved everything about The Hampton Victory Garden. I’ve been mysterious about The Secret Garden by design. It will be just fine if no one there remembers me. When I write the definitive guide to community gardens, I may have a few other stories to tell. I think I left that little spot a little better than I found it. Let’s not have any more secrets, ok? This entry was posted in Hampton Victory Garden and tagged Community Gardens, The Hampton Victory Garden, voluntary action, Volunteer. Bookmark the permalink.